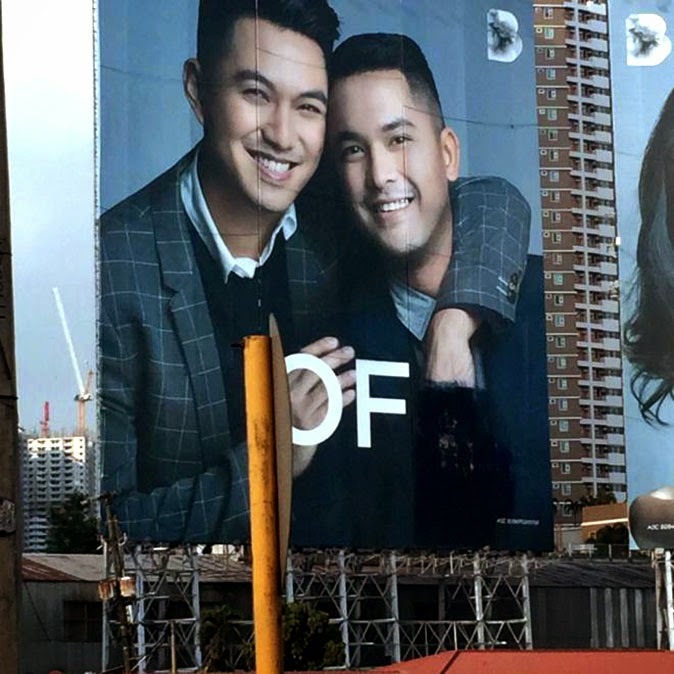 The Bench ad campaign titled “Love All Kinds of Love,” which is open for the public to check along EDSA, bears the message of gender equality and shows openness and support towards the LGBT community. 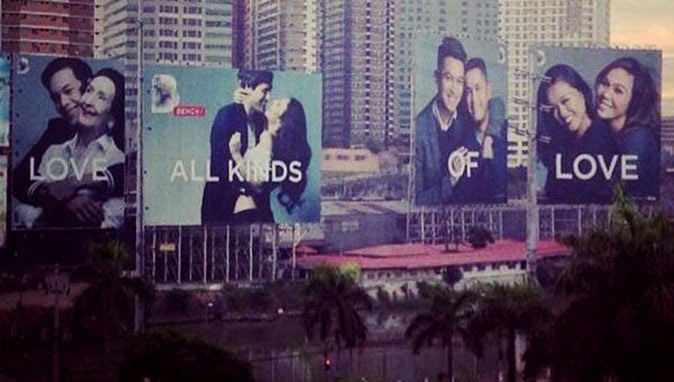 The billboards feature different kinds of love showcasing the grandmother-grandson tandem of legendary actress Gloria Romero and Chris Gutierrez and the magic of true love between model and actress Solenn Heussaff with her fiancé Nico Bolzico, magazine creative director Vince Uy and his boyfriend Nino Gaddi, and the lesbian couple makeup artist Ana Paredes and girlfriend, interior designer Carla Peña sharing a hug with one another. Aside from the love season being observed at the moment, people are also celebrating the message shared by the clothing company, but as always, not everyone was happy about it. The festivity quickly turned to condemnation and criticism after people noticed that something was not right. The billboard displaying the image of Vince and Nino had some alteration since instead of showcasing their love by holding hands, a black paint was placed over with the intention of hiding it. As a country filled with very opinionated set of citizens, different reactions come hauling every corner and everything is evident online. Using social media as weapon, a protest called #PaintTheirHandsBack started few days ago, criticizing the action done with the ads. While others expressed disgust, a number of netizens showed creativity by putting back the hands of the gay couple with the use of Mickey Mouse's gloves, Baymax hand, Disney fairies, lobsters and the like. The issue about that hidden-hands-under-the-black-paint actually became more beneficial and had set enough sound to resonate and share the brand’s message far and wide. The more they want it hidden, the more people see it. Isn't that a good marketing strategy? Anyway, I was wondering if two men who love each other and publicly hold their hands were too gay for others, how about two lesbians hugging each other? Is there such thing as too lesbian? I just feel partiality but nevertheless, love all kinds of love because love is what truly matters.